No matter when we lose a loved one, it always seems to be tougher for us to deal with our grief during the end of the year holiday season. We have so many traditions, family gatherings, social events and activities that create important and lasting memories, and being a part of all these without our mother, father, husband, wife, son, daughter, relative or friend is sometimes emotionally overwhelming. 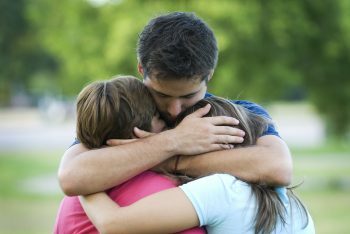 Below are some tips, courtesy of www.whatsyourgrief.com, for coping with grief at the holidays. Accept the fact that this year, the holidays will be different and tough. Choose which traditions you want to keep, which you want to change and perhaps create a new one in honor of your loved one. Decide where you will spend your holidays. You may want to change your routine or keep it the same if you’re more comfortable. Remember your loved one by lighting a candle or including one of their favorite dishes at your meal. Make a donation to your favorite charity in your loved one’s name. Visit your loved one’s memorial and leave a wreath, flowers, poinsettia, or other meaningful holiday item. Listen to some of your loved one’s favorite music of the season. If they didn’t like holiday music, play whatever music they liked. Take care of yourself. Say no if you’re invited to too many events that you can handle. Take care of yourself. If you need to talk to your pastor, priest, rabbi, counselor or trusted friend, do so. Don’t send holiday cards this year if it is too sad or overwhelming. And don’t feel guilty if you don’t send them. Put out a photo table with photos of your loved one at holiday celebrations in the past. Remember it’s okay to cry. Splurge on a gift for you. Also, we invite you to attend one of our Candle Lighting Ceremonies. It’s an evening to reflect upon the memories of your loved ones as we sing holiday songs, hear inspirational messages, and light a candle in memory of a family member or friend. For a list of dates and locations, click here.